Our new 23,000ft2 facility provides us with the long-awaited single-site environment offering us heated and enclosed warehouse and manufacturing facilities, which are quite unique in this industry, that will allow us to concentrate on the expansion of our services and products. We also use state-of-the-art printing technology to mark and label our pallets, cases and crates. 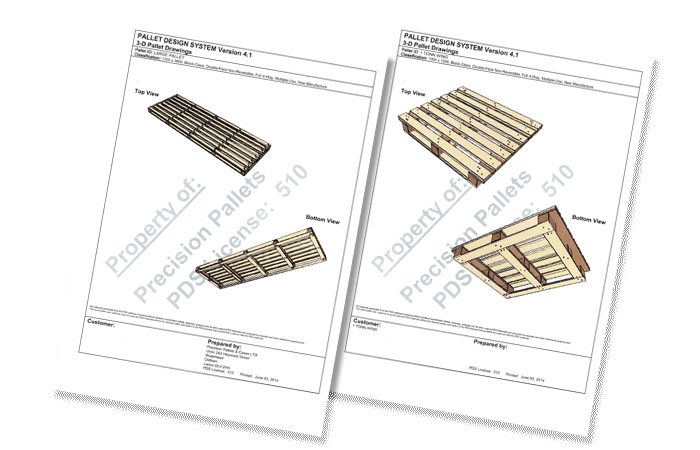 From the ISPM15 mark to logos, instructions and more; your pallets can be highly customised to meet your exact needs. We are proud to include the Ministry of Defence among our many clients. All our MOD/NATO products are marked with a NATO Stock Number for identification purposes. Below is a brief overview of our products. Please get in touch to discuss your requirements. Precision Pallets can design and build any pallet to any size and any quantity. From a one-off special order to a run of thousands of pallets, we have the facilities and expertise to deliver. Below is an example of our pallet design service. As well as our custom design service, we can also supply brand new, quality built pallets which comply with UK and European standards. Precision Pallets is also able to meet the rigorous demands required by those in specialist industries, such as chemical and pharmaceutical companies. 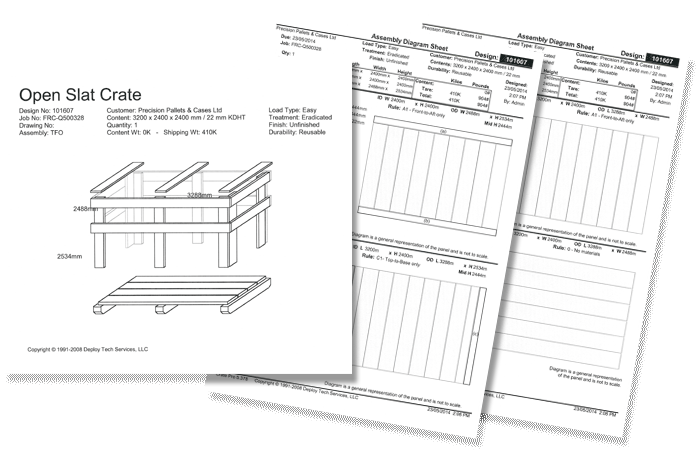 Like our pallet-design service, we can design and build cases of any size and to any quantity. We offer a range of lining materials (such as paper or poly) and closure options (toggles, latches). Below is an example page from our comprehensive case-design service. As with pallets and cases, our flexible crate-design service allows you to tailor a crate to your exact needs. Our crates and cases will fit your goods like a glove, ensuring the highest levels of protection whilst in transit. 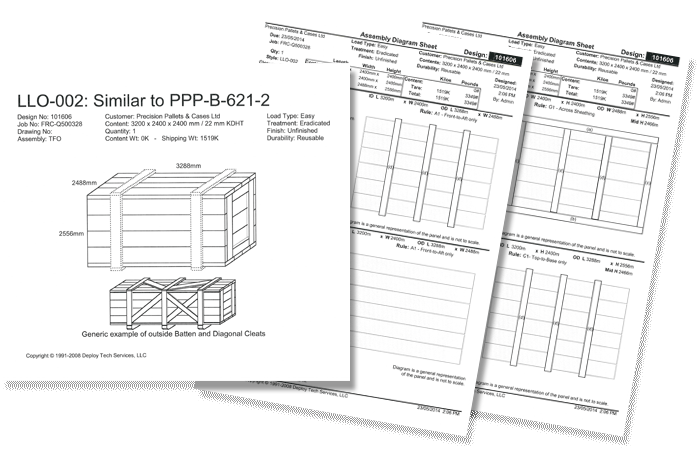 See below for an example page from our detailed crate-design service.